Who isn’t swooning over Meghan Markle’s Vanity Fair cover this month? Not only is the 36-year-oldSuits actress super candid about her relationship with Prince Harry, but also it turns out the cover silently referenced the late Princess Diana, her beau’s mum. Markle stunned in pretty, subtle makeup on the cover and in the shoot, which comes as no surprise because her look was done by artist extraordinaire, Mary Greenwell, who coincidentally used to do the Princess of Wales’ makeup, and was even responsible for creating her signature look. In Markle’s interview with the magazine, she mentions her excitement about getting to work with the wildly-acclaimed photographer Peter Lindbergh, who is known for his pared down style. The actress was delighted that “he rarely retouches and believes in such little makeup,” so it comes as no surprise that they turned to Greenwell and her light hand to handle the look. On the cover, Markle’s features are subtly defined and beautified, but she is not overly done up, which is Greenwells calling card. When the makeup artist was regularly doing Princess Diana’s makeup, in fact, she turned the princess away from using blue eyeliner, instead enhancing her striking blue eyes with muted brown tones and a healthy dose of bronzer, which the royal “loved.” Clearly, a similar style was used for Markle as well. If her makeup is anything to go buy, Markle is a princess in the making. 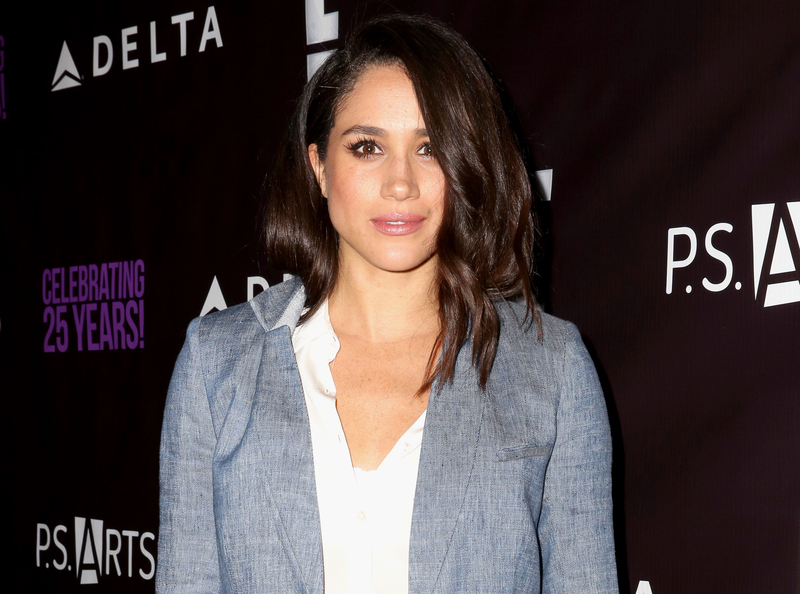 Tell Us: What do you think of Markle’s barely-there makeup on the cover of Vanity Fair?